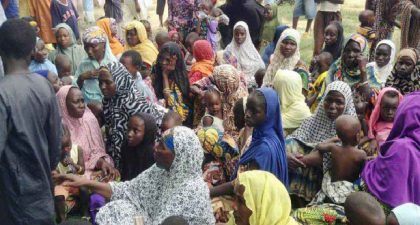 SK Usman, Abuja: The Nigerian Army has noted with great concern growing allegations of misconduct against some persons on security duties at Internally Displaced Persons’ camp in Bama, Borno State. We would like to state that Nigerian Army personnel have been doing their best in bringing peace and security in various parts of the country especially in the north east, any act of misconduct could negatively impact on these good works. Although these allegations are unsubstantiated, the Chief of Army Staff, Lieutenant General Tukur Yusufu Buratai has today directed that the matter be thoroughly investigated by both the Director Military Intelligence and Provost Marshal (Army). We would like to reiterate that the Nigerian Army has zero tolerance for any misconduct among its officers and soldiers especially those that are trusted with onerous responsibility of guarding and securing those Internally Displaced Persons’ Camps. Anyone found culpable, would be severely dealt with.